This traditional handsome Scottish Dirk boasts a Crown design pommel and a nail head studded grip. 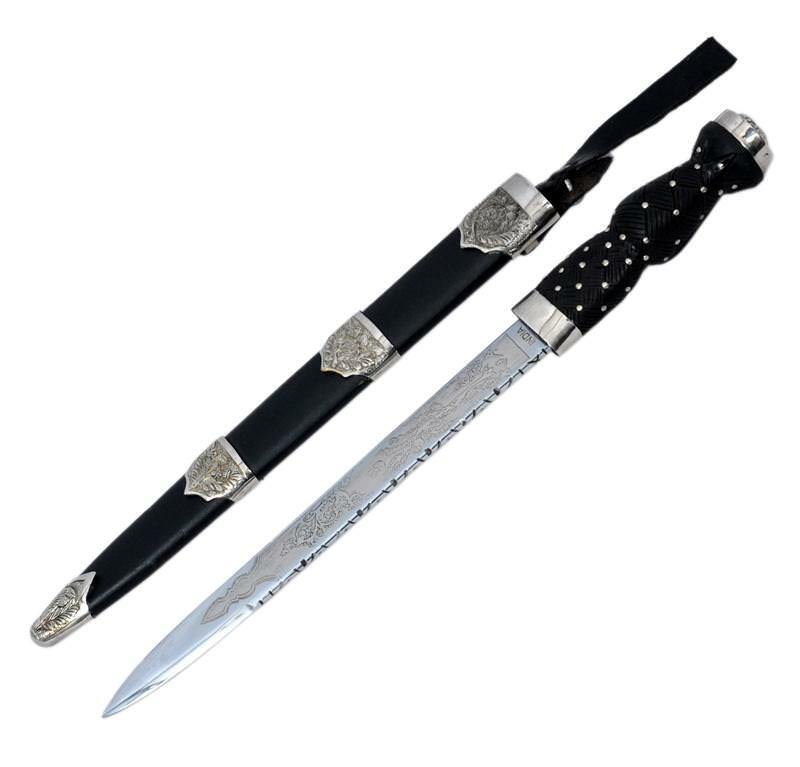 The Scottish Regimental Dirk has an engraved steel blade that is 11.50 inches with a fancy sheath crested in silver tone castings. The Scottish Regimental Dirk has an overall length of 17.5 inches. This Scottish dirk would make a great addition to your Scottish and Celtic dagger collection.